A chaise has a long base seating area made for reclining and is usually overstuffed and designed to be comfortable, making it a go-to area for relaxing and reading. Some chaises have pillows and back cushions as well. With time, a chaise can become worn, torn or may not suit your style any longer. Rather than purchasing a new chaise, make a slipcover that will lend new life to your worn piece of furniture. Choose fabric that reflects your style and interior décor scheme. Make a removable, washable slipcover for your chaise. Place all cushions on the chaise, but remove any throw pillows. The slipcover you are making is one piece that will slip over all the cushions and the chaise body, making it easy to take it on and off, making it necessary to have all cushions on the chaise when you make your pattern. Lay tissue paper on the seat of the chaise so it is completely covered. Tape pieces of tissue paper together if necessary to achieve the length or width you need. Trace the outline of the seating area on the tissue paper. Mark the pattern piece and set aside. Continue in this manner and trace the back seating area, the sides, the back and any other areas that need to be covered. Add 1 inch to each side of each of the pattern pieces you just made with a quilting ruler or straightedge to ensure that you have plenty of seam allowance. 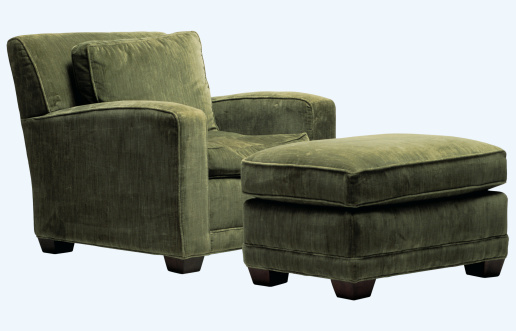 This will allow your slipcover to slip over the chaise easily while still giving it a tailored look. Cut out your pattern pieces. Preshrink your fabric according to the manufacturer's directions. 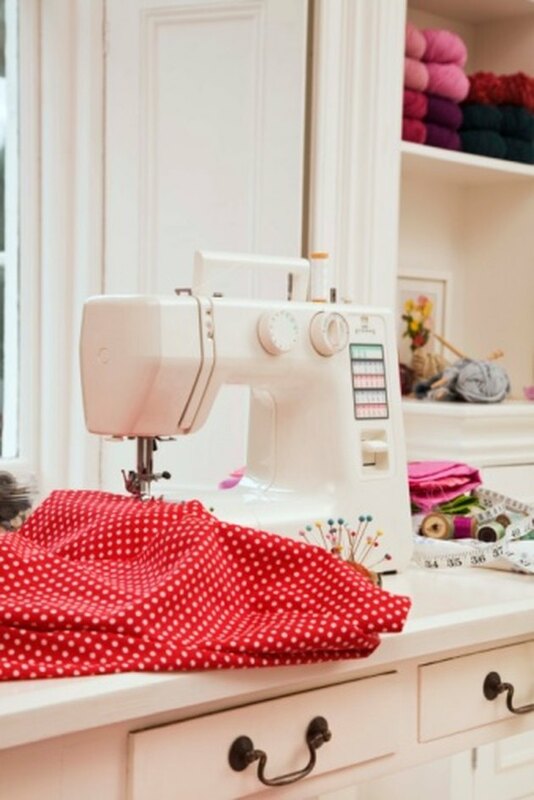 Lay your fabric unfolded and right-side down on a large, flat surface. Pin your pattern pieces to your fabric and cut out one of each. Pin the top pieces – the top seating area and the back seating area – together with the right sides together at the seam where they will meet on the back of the seat. Sew with a ½-inch seam allowance. Remove the pins. Pin the pieces that attach to the top of the back seating area with the right sides together. Sew together with a ½-inch seam allowance. Remove the pins. Pin the pieces belonging on the left side of the chaise to the center seating area pieces you just sewed together. Ensure that the right sides are together when you pin. Sew with a ½-inch seam allowance. Repeat with the right side. Turn the entire slipcover inside out. Turn up the very bottom edge of the entire slipcover 1/4 inch and iron into place. Turn up an additional ½ inch and iron and pin into place to create a hem. Sew the hem into place with a ¼-inch seam allowance. Remove your pins. Turn the slipcover right side out and iron to remove wrinkles. Slip over your chaise. Cover any throw pillows in the same fabric if desired.